"Now, here, you see, it takes all the running you can do, to keep in the same place" This advice from the Red Queen in the book "Through the Looking-Glass" by the British author Lewis Carroll serves as a metaphor for a fundamental principle in the field of evolutionary biology. The "Red Queen hypothesis", named after Carroll’s figure, states that all living organisms must constantly adapt and change, in order to survive in a constantly-changing environment. This pressure to change determines the resulting evolutionary dynamics, i.e. the ongoing reciprocal adaptations of various organisms to each other and to altered environmental conditions. Although the “Red Queen hypothesis” has been explored comprehensively at the theoretical level, to date a detailed understanding of the underlying selection mechanisms and the genes involved is still missing. A research team from the Kiel Evolution Center (KEC) at Kiel University (CAU) and the Max-Planck Institute for Evolutionary Biology (MPI) together with international colleagues, has now presented an experimental analysis of these dynamics, and the genetic information which controls this process. The researchers published their results in the current issue of the journal Proceedings of the National Academy of Sciences (PNAS). 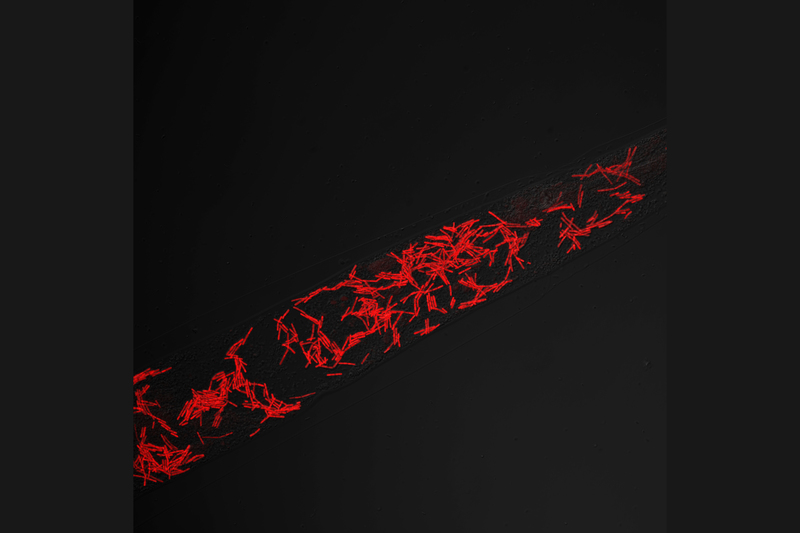 In order to experimentally investigate the underlying evolutionary processes, the Kiel researchers focused on the coevolution of the nematode (or thread worm) Caenorhabditis elegans and its bacterial pathogen Bacillus thuringiensis. The study revealed that different factors shape coevolution in the host and pathogen: in the host, the evolutionary response is driven by changes in different genome regions at different time points. In contrast, in the pathogen, adaptation is determined by frequency changes of certain mobile genetic elements, in this case certain so-called plasmids. "The genetic processes underlying rapid host-pathogen coevolution are more complicated than previously assumed, and differ significantly in host and pathogen," said Professor Hinrich Schulenburg, head of the Evolutionary Ecology and Genetics research group at the CAU, KEC spokesperson, and also fellow at the MPI. “The Red Queen thus works differently than we thought, and in particular the role of plasmids and their frequency have not been sufficiently taken into account thus far," continued Schulenburg. In order to study the reciprocal adaptation of worm and bacteria in evolution experiments, the researchers repeatedly infected populations of nematodes with a specific strain of the pathogen. The research team monitored the ensuing coevolutionary changes in the two organisms, characterizing both phenotypic as well as genetic modifications. 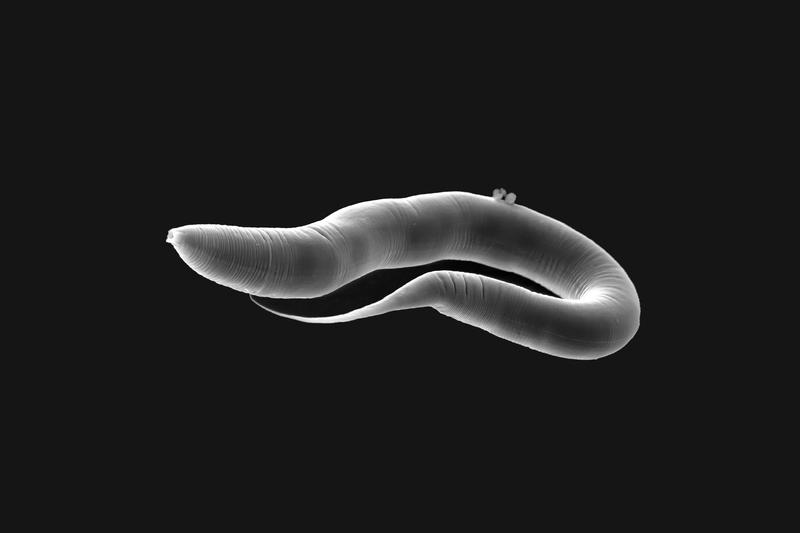 In this context, a particularly useful characteristic of the nematode Caenorhabiditis elegans is that it survives freezing, allowing direct comparison of offspring with their ancestors - great-grandchildren and great-grandparents can thus be set in direct relationship with each other. The scientists took advantage of this particular characteristic in order to compare worms at different stages of adaptation to the pathogen. In doing so, they discovered that coevolution occurs extremely fast, within a few generations. Likewise, it also became clear that the selection pressure on the pathogens led to changes in the frequency of specific plasmids; these are responsible for the production of toxins which are harmful to the host. The Kiel researchers believe that the results of their experiments may have uncovered a universal principle underlying rapid evolution of pathogens. Such rapid adaptive responses could be facilitated through changes in the frequency of mobile genetic elements. This is likely to apply to other pathogens, too. Diverse pathogens possess plasmids that often carry the genes for so-called virulence factors, i.e. genetic information which determines the harmfulness for the host organism. "It is possible that pathogens adapt particularly quickly to their hosts, by simply adjusting the frequency of their plasmids, or other mobile elements. New mutations are then not necessary, at least initially," explained Schulenburg. "However, this aspect has not yet been well studied, even though such frequency differences might be important for the assessment of virulence, and thus potentially also for medical diagnosis of infectious disease," concludes Schulenburg.